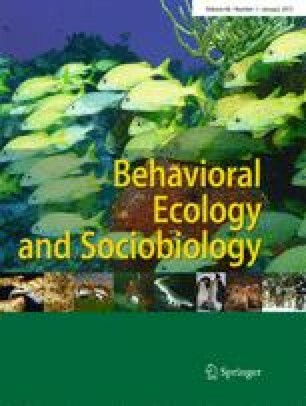 Evaluating animal personalities: do observer assessments and experimental tests measure the same thing? The animal personality literature uses three approaches to assess personality. However, two of these methods, personality ratings and experimentation, have been little compared in captivity and never compared in the wild. We assessed the boldness of wild chacma baboons Papio ursinus using both ratings and experimental methods. Boldness was experimentally assessed when individuals were presented with a novel food item during natural foraging. The boldness of the same individuals was rated on a five-point scale by experienced observers. The ratings and experimental assessments of boldness were found to correlate positively and in a linear fashion. When considered categorically the two approaches showed variable agreement depending on the number of categories assigned and the cut-off criteria adopted. We suggest that the variation between approaches arises because each method captures different aspects of personality; ratings consider personality in absolute terms (using predefined criteria) and multiple contexts, while experimental assessments consider personality in relative terms (using experimental scores relative to the population average) and in limited contexts. We encourage animal personality researchers to consider adopting both methodologies in future studies. We also propose that future studies restrict their analyses to continuous data, since the greatest comparability between methods was found with these data. However, if individuals must be categorised, we suggest that researchers either (a) analyse only those individuals categorised as bold or shy by both ratings and experimental approaches or, if these methods cannot be employed simultaneously, (b) do not use approach-specific criteria but choose a cut-off that can be compared by both approaches. We thank AfriKitty, Sicko, Birko, Titch, Gin-Gin, Peckers and Symie for spending enough time with the baboons to be able to assess their boldness. We are grateful to the Ministry of Lands and Resettlement for permission to work at Tsaobis Leopard Park, the Gobabeb Training and Research Centre for affiliation, and the Ministry of Environment and Tourism for research permission in Namibia. We confirm that we have adhered to the Guidelines for the Use of Animals in Behavioural Research and Teaching (Animal Behaviour 2006, 71:245–253). We are grateful to Jana Uher and two anonymous reviewers for comments on earlier versions of this ms. Financial support was provided by grants from the Leakey Foundation, the Animal Behavior Society (USA), the International Primatological Society, and the Explorer's Fund to AJC. AJC was supported by a Fenner School of Environment and Society scholarship and her life savings. HHM was supported by a NERC Open CASE scholarship and beer. This paper is a publication of the ZSL Institute of Zoology's Tsaobis Baboon Project.